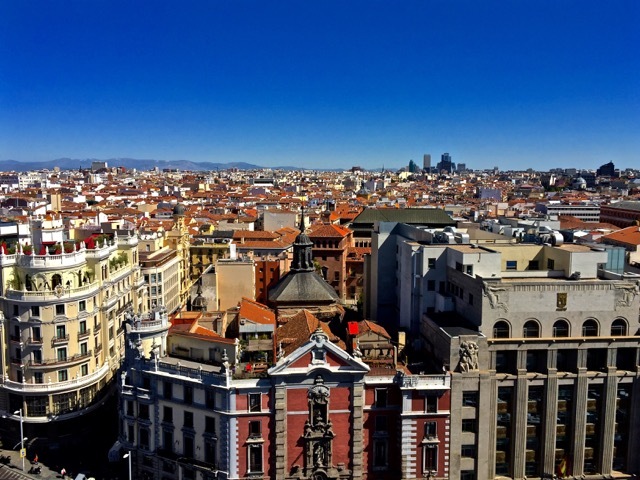 View of Madrid from the top of the Bellas Artes building. This past summer, I was able to vacate my mundane, ordinary life and trade it in for an exhilarating existence in an utterly amazing city. Looking back now, I am amazed that one city in one summer was able to somehow satisfy my wanderlust desires, as well as my very different professional aspirations. I was able to leave Kansas and the United States behind to go on an adventure in the beautiful city of Madrid. As a pre-medical student in the US, it is not easy to find worthwhile opportunities to experience the medical field without actually possessing some real medical certification. However, during my summer abroad, I had the immense pleasure of completing an internship that placed me directly into the medical field. I was also able to compare what makes the Spanish healthcare system rank so much higher than that of the United States. I was able to speak with doctors, residents, and patients about how they feel about the quality of healthcare abroad, and I learned a lot. I observed different styles of patient care, and was able to learn a great deal of Spanish medical terminology. The view from the balcony of my room in my homestay, overlooking the Plaza Olavide. 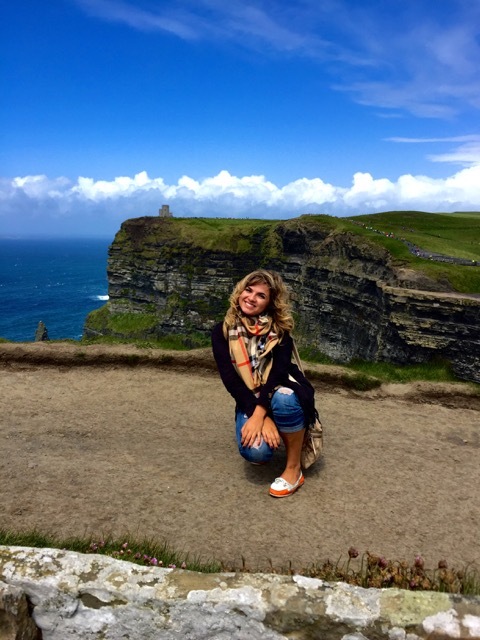 I was able to fully immerse myself in the medical field while in a completely foreign culture. I not only learned a lot about medicine, but I was also able to step outside of my comfort zone and learn more about my individual self. I was also able to fall in love with the Spanish culture, make new friends, better my Spanish speaking skills, finally live in a big city, and experience Europe to the fullest. I had always had a desire to visit Spain, but I had no idea how much I would feel at home in this strange new world that was without air conditioning even on the absolute hottest of days, a world where churros and chocolate were readily available at all hours of the night, a world where people never actually slept, and instead survived off of very, very strong coffee. This is a culture of people who truly love to be alive, and value every moment. I learned to let the past stay in the past and instead enjoy every moment as it was in the present. I was able to explore parks that make others pale in comparison. I would get lost in impossible to navigate streets that were covered in images of Cristiano Ronaldo’s beautiful face, only to stumble upon an Egyptian temple from 200 BC just around the corner. We spent a weekend exploring Ireland, and here I am at the Cliffs of Moher in Western Ireland. I am forever grateful for the vast array of wonderfully aromatic foods of San Miguel’s market, the entire meals that could be created from a spread of tapas, the boisterous and exciting nightlife that keeps the city young and vibrant, and the art that fills the walls of the many museums of the city. 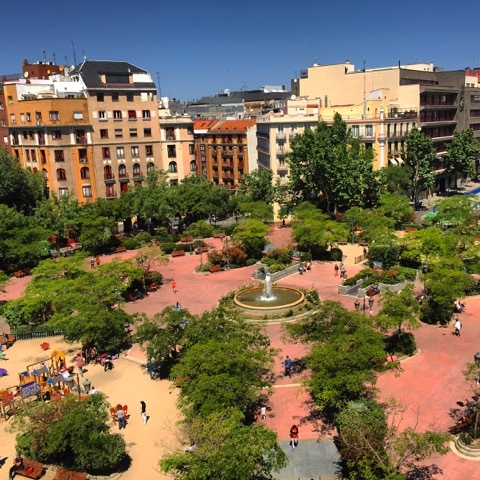 When I was not working at the hospital or observing surgeries, I was exploring all that Madrid had to offer, traveling to other parts of Spain, or seeing the sights of Ireland and Morocco. I met so many incredible people, from my host mom to the doctors I worked with to the friends I rode camels with in Tangier, and every one of them left a lasting impression on who I am as a person. I was able to have this incredible adventure because of a fortunate opportunity that I came across in the Office of Study Abroad, and thanks to scholarships like the Gilman International Scholarship, I was able to afford this once in a lifetime experience. I brought home plenty of souvenirs, but what I’m going to value more than anything is the memory of the wonderful life I had this summer in a vibrant, passionate, and unforgettable culture.